Superb views from holiday bungalow on elevated site looking onto Atlantic Ocean, Ox mountains and beautiful countryside . 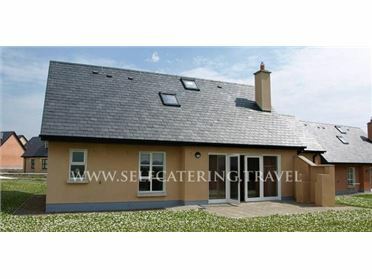 Situated near the Ladies Brae scenic drive and on the Wild Atlantic Way. 3 bedrooms, bathroom with shower and bath , kitchen with electric cooker / oven and microwave. Spacious sitting / dining room. Newly refurbished in vintage style. Mature garden with enclosed, sheltered back garden.Surfing, SUP, golf, fishing, kayaking and sandy beach nearby. .